Welcome To Our Oceanfront Vacation Rentals! 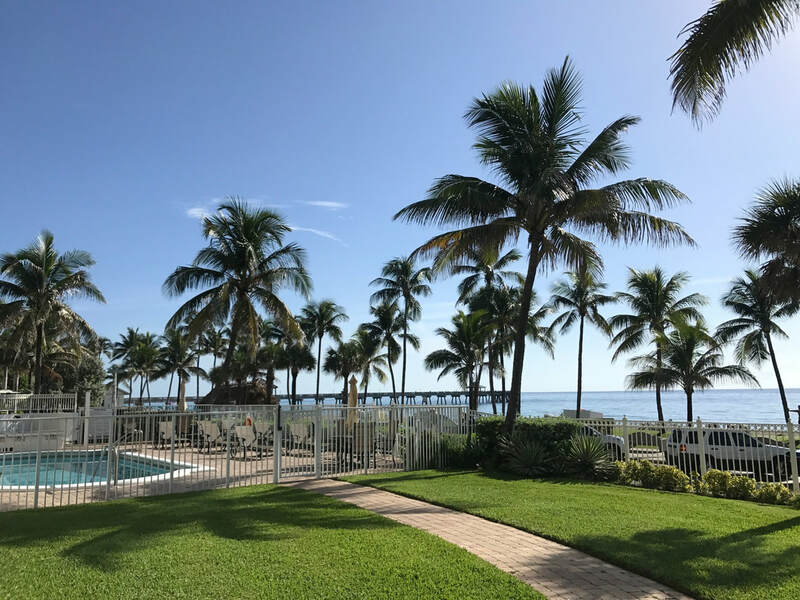 The Ocean Club of Deerfield Beach offers a variety of privately owned, beachfront condominium units. Our “Old Florida Keys" style building is charming and friendly with only four stories. Deerfield Beach is a small beach town, with award winning beaches, just south of Boca Raton. 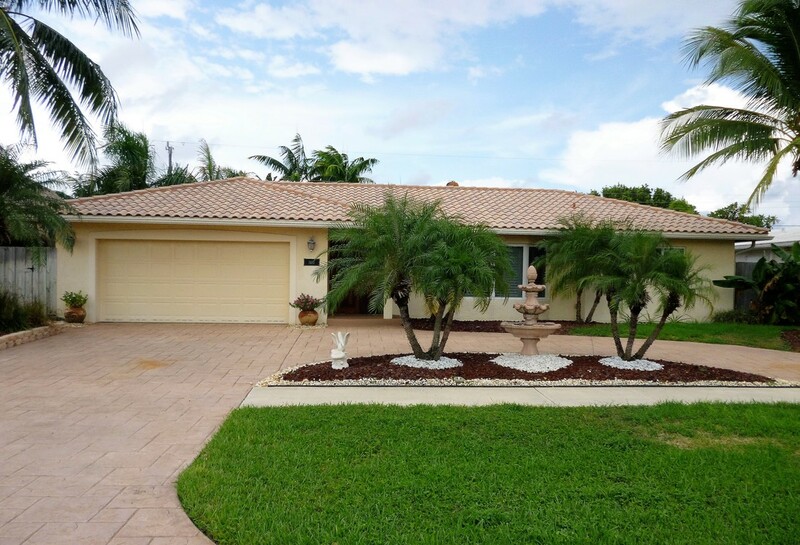 It is located between Miami and Palm Beach, and is only 20 minutes from the Fort Lauderdale International Airport. The one bedroom two bath condos sleep 4-6 people. The three bedroom three bath deluxe condos sleep 8-10. All enjoy charming balconies that hang above our turquoise sea. You will love it! This is a wonderful choice for anyone looking for the perfect tropical Florida beach vacation. Our return rate is consistently over 75%. The Ocean Club is ideal for a couple's getaway, girls weekend, guys fishing trip, family vacation or reunion. The Ocean Club is in the heart of Southeast Florida's "Gold Coast". Enjoy our heated pool and BBQ area. Walk over to the International Fishing Pier, (which has the best 4th of July fireworks), and the many shops and seaside eateries. The Whale's Rib, (as seen on Guy Fieri’s Diners, Drive-Ins and Dives), JB's on the Beach, Oceans 234, Patio Bar and many more. Click on Things To Do to see more about the surrounding area. Beautiful waterfront 1 bedroom 2 bath condos that sleep 4-6 people. Deluxe waterfront 3 bedroom 3 bath condos. Over 1800 square feet, plus two balconies! Charming 3/3 private homes and 1/1 condos with pools close to the beach. Also Available! 2 and 3 bedroom Golf Condo's & Villa's in the Deer Creek Golf Community in Deerfield Beach. From $3400 per month in season. All funds held in escrow. There's plenty to see and do from fine dining to free surf lessons. Deerfield Beach International Fishing Pier - Underwater View, Ocean View, Beach View, Live Camera.